So! Our first game is: Shin Sangokumusou 2, or 真三國無雙2, one of Sintax's various takes on the Dynasty Warriors series. A version of this is dumped, but this one has a nice intro that the existing dump doesn't. It's a sequel to a generally well-regarded earlier Sintax game, and improves quite a bit on its predecessor. if you haven't played this already, you should! 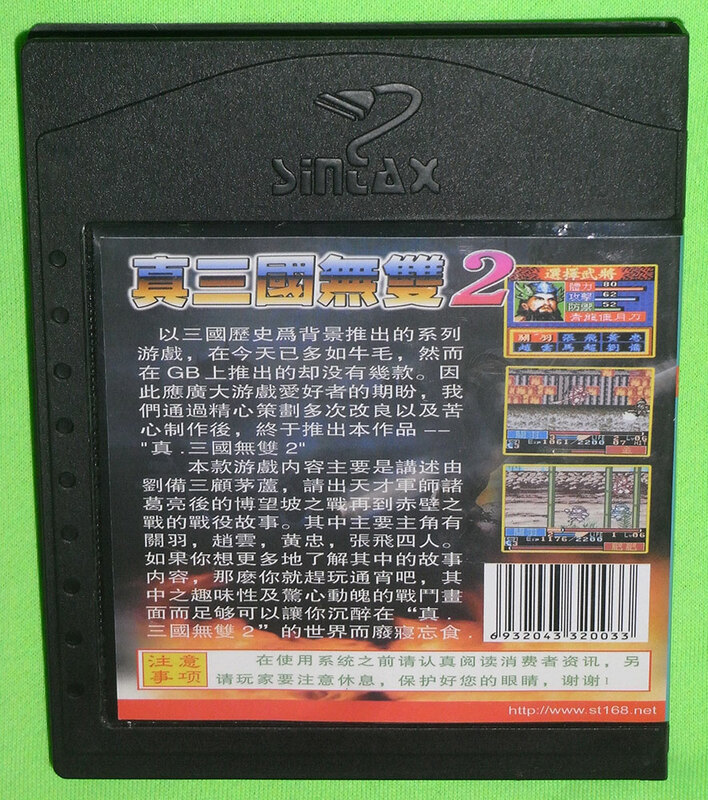 Woah, I've never seen that black cartridge style before...Or is that the case it came in? Either way it looks pretty neat. yeah it's the box. i'd never seen one until I came across an auction for like six of them on Taobao one day (which is where this game is from). Hey, Taizou, is this the sequal to San Goku Shi - Act C ? Yes. There's also an undumped alternate version of San Goku Shi - Act C with the Sintax logo and copyrights in the title screen. 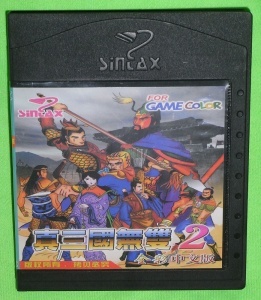 Btw, it's nice to see another Sintax game dumped. Hope I can get these bowed down soon... Maybe after the last update of 2012.
yeah, "San Goku Shi - Act C" really isn't called that at all, someone just made that title up based on the ROM header. 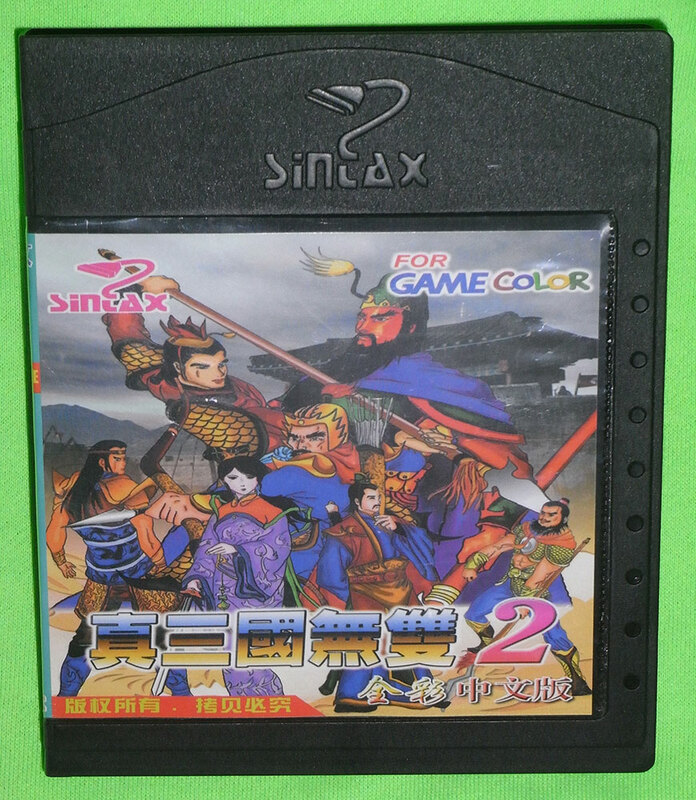 Sintax's (currently undumped) release was called "真三國無雙" in Chinese and "True Thre Kingdoms" in English, and this is the sequel to that. 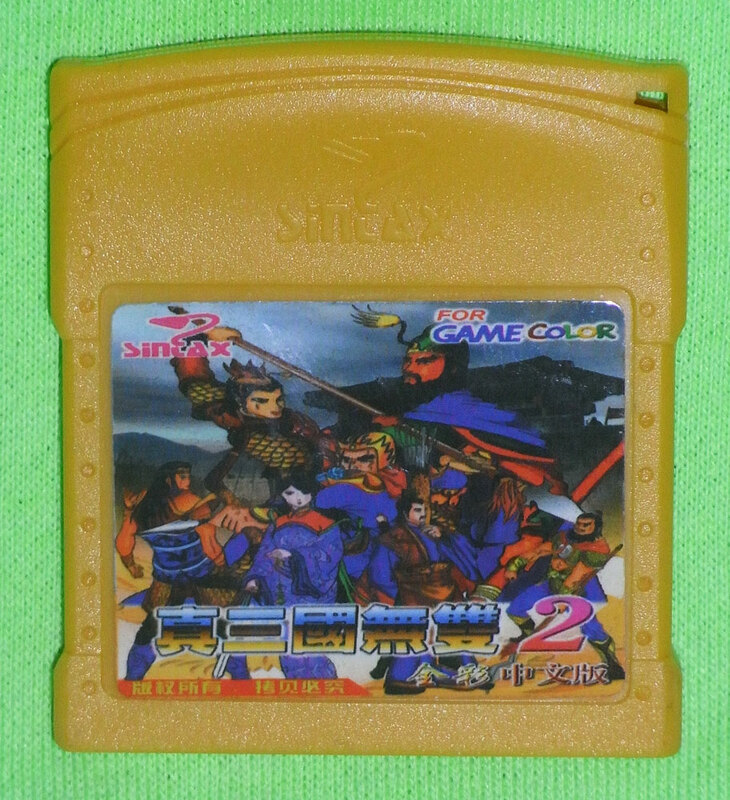 The dumped version has a different title in Chinese but it definitely isn't San Goku Shi Act C or anything like it. Yes, the title of the dumped version is "Tun Shi Tian Di - Chi Bi Zhi Zhan". Is it another clone? Not sure, it has a "TD-SOFT" boot logo so it might have been an alternate version published by them. Or just some hack made at a later date. Hard to tell really. Oh, somewhat related to that... the second GB header in the San Goku Shi Act C ROM lists its name as "FF9"... and the Final Fantasy IX pirate credited none other than TD-Soft on its title screen. Taizou thanks to your comment i now know the same people who made final fantasy IX made the rom dump called ''Tun Shi Tian Di - Chi Bi Zhi Zhan''. Yeah, although not all TD-Soft releases are BBD/Sintax games, IIRC I've seen a version of Emo Dao by Vast Fame with that same boot logo. Taizou just a note i went in my graphics editor and all i really see in the san goku shi - act C rom. Relating to the title screen is the same as 真三國無雙 like someone else mentioned above. Also while they removed their copy right screen. Their version has a bug that does not allow you to save the game. Just like the digimon battle spirit backport you dumped earlier. While the original title screen is in the rom. It unscrambles the letters in a different way from the original cartiridge by sintax. Have someone this Game ?